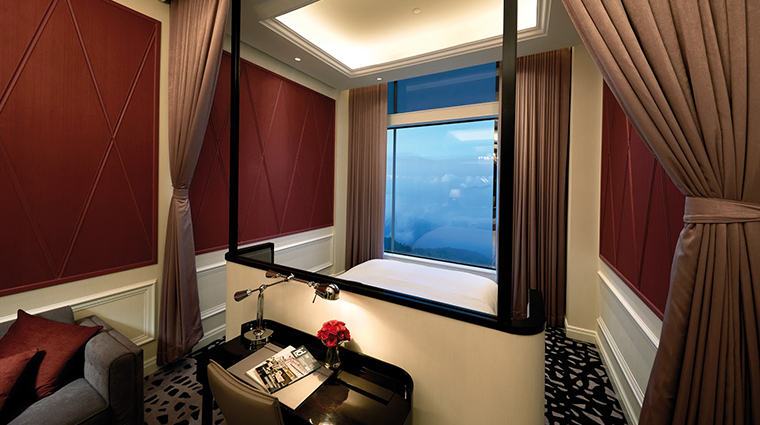 Among the many hotels atop Genting Highlands, Crockfords stands as one of the most luxurious of them all. 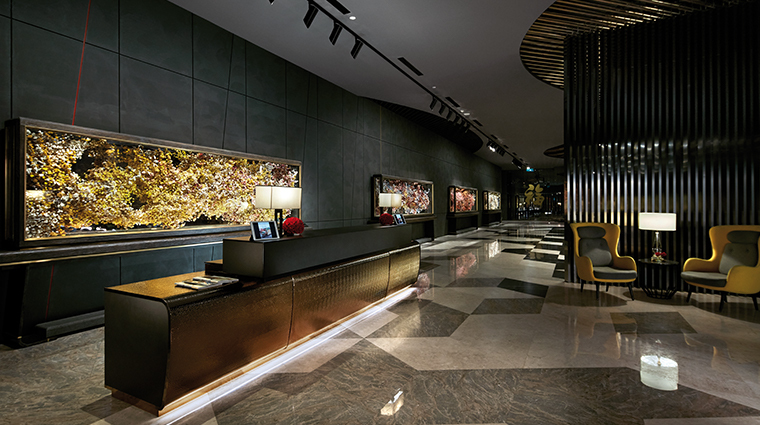 This is established from the get-go, when you are welcomed into a lobby that exudes contemporary elegance, complete with a floral installation by British artist Rebecca Louise Law for an artful touch. 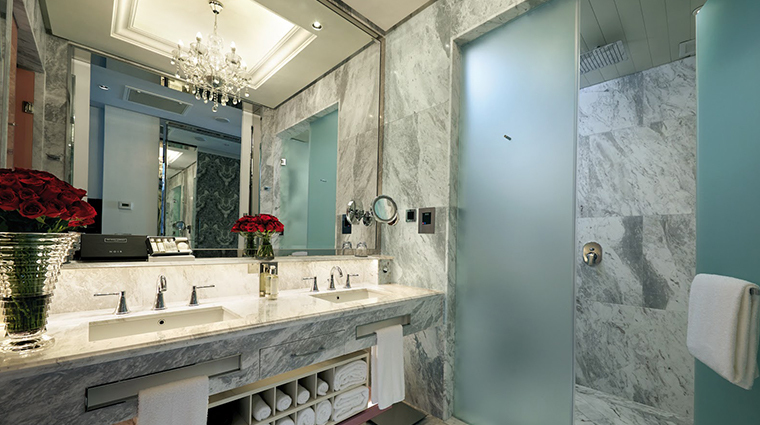 The emphasis on luxury is found in the details, from the plush comfort and design of the 140 rooms and suites to the impeccable service from friendly and helpful staff. All accommodations provide unobstructed views of the surrounding mountainous landscape, allowing you to take in the stunning sunrise without getting out of bed. 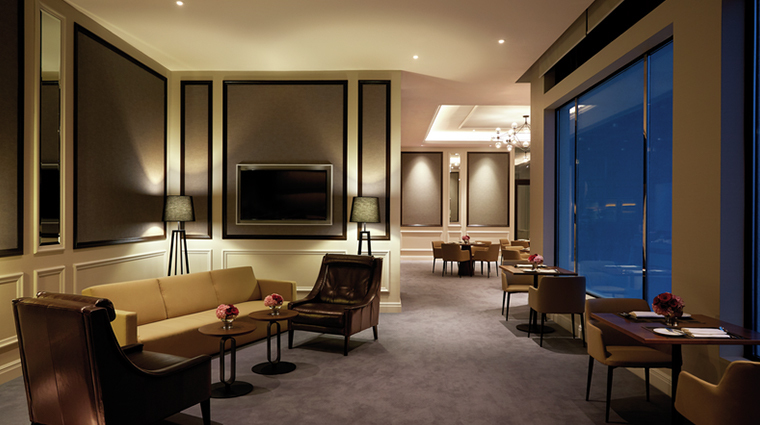 Despite its prime location adjacent to SkyAvenue — a mega lifestyle mall that houses SkyCasino and Skytropolis Funland indoor theme park — the hotel’s discreet entrance ensures it remains very much a hidden gem. It’s a tranquil retreat from the ever-bustling crowd next door. The first of Rebecca Louise Law’s works to be showcased in Malaysia, the beautiful floral installation in the lobby is quite the sight to behold. Named The Four Seasons, it features more than 150,000 hand-cut, preserved flowers of 60 varieties across four frames, embodying spring, summer, fall and winter. There is no such thing as compromised luxury at Crockfords. Each room boasts furnishings that exude British-inspired grandeur — plush 300-thread-count Egyptian cotton linens, steam and sauna facilities, and elegant marble bathrooms stocked with exclusive amenities from London-based home goods brand The White Company. 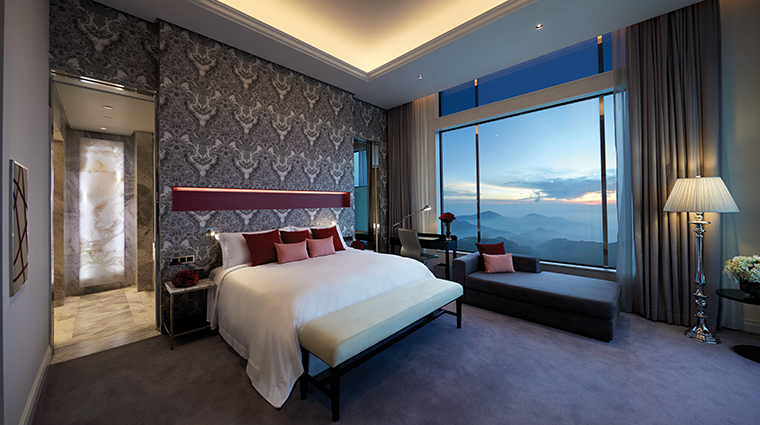 Wake up at the break of dawn, draw the blinds with just a push of the button on the one-touch control system and start the day with a majestic mountain sunrise view. It doesn’t get much better than this. Service at Crockfords is exemplary. The warm and attentive staff will make you feel at home from the moment you check in, thoughtfully catering to your needs throughout your stay without being overbearing. We adore the turndown service. 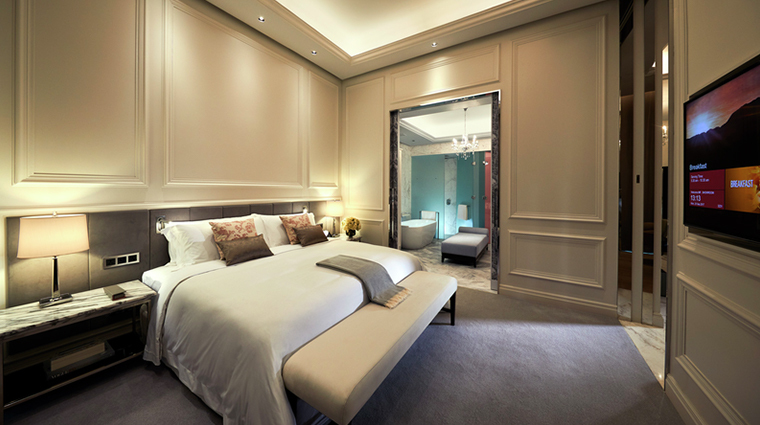 Upon returning to your room in the evening, you’ll find a complimentary bottle of wine or champagne along with sweet treats for a nice nightcap and a little care package with lip balm and pillow mist to ease you into good night’s sleep. Just about an hour away from Kuala Lumpur, Genting Highlands is a retail, dining and entertainment destination in its own right, and can get rather crowded as locals and tourists alike come up for a quick getaway. The mountaintop hotel takes after the exclusive club of the same name in London’s Mayfair neighborhood, hence the British grandeur and ambiance. 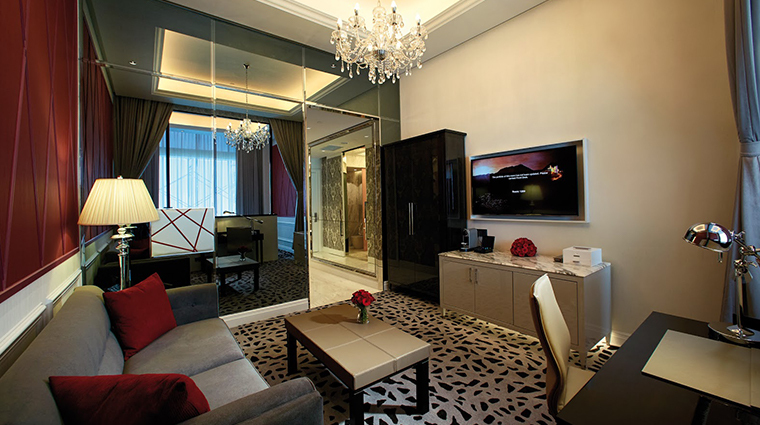 Positioned as the pinnacle of stays at this Malaysian resort, Crockfords reserves most accommodations for distinguished Resorts World Genting members, but Superior Rooms are usually available for bookings year-round. Breakfast with a view is served at the Executive Lounge. Fuel up for the day with staples from the simple buffet spread and order a main off the à la carte menu — the signature nasi lemak (rice cooked in coconut milk and pandan leaf) with lobster rendang (spicy curry) is a must-try. 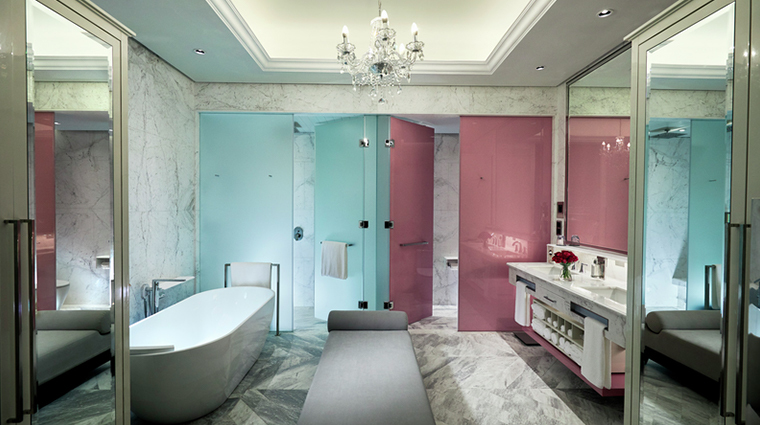 The luxury hotel’s elegant style extends to the 140 rooms and suites, where a pastel and neutral palette of gray, teal, rose and deep red come together in harmony. 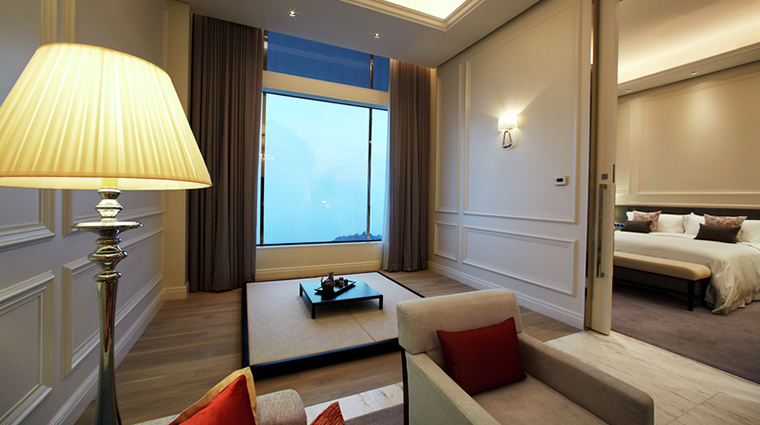 A slight deviation in decoration is seen in the Signature Suites, which come in three eclectic themes. The Technogym Suite is fitted with a high-end Italian gym system; the Tatami Suite has a Zen tea ceremony area built into the living room; and the Mahjong Suite includes an automatic (read: self-shuffling) mahjong table and a massage chair. 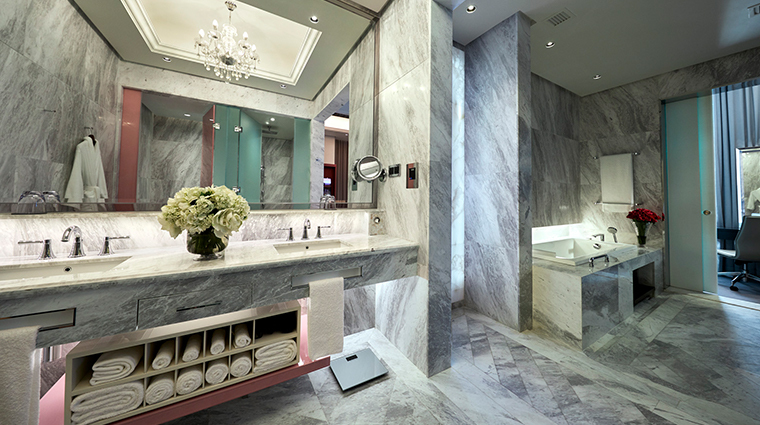 The trio of Executive Suites make up the crème de la crème of luxury living in the highlands. Each space spans 2,900 square feet with a grand living area, a dining room, a spa room, a private gym and panoramic views overlooking the rolling hills and rainforest. 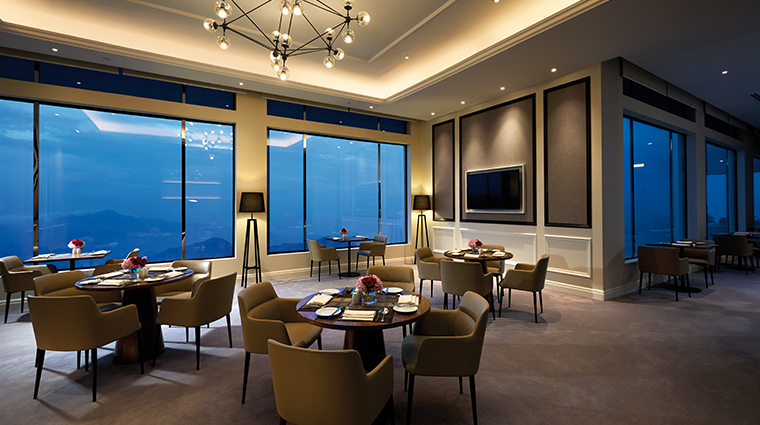 There are no restaurants within the Genting Highlands hotel itself, but you’ll find plenty of dining options at your doorstep in the adjoining SkyAvenue. You can’t go wrong with delicious local fare at Madam Kwan's, or perhaps a taste of London is in order at the famed Burger & Lobster. Immerse yourself in the dazzling sights and sounds of SkySymphony, where a 1,001-winch-ball (illuminated, programmable spheres) installation is surrounded by 360-degree LED screens wrapped around the walls and columns of the mall’s main atrium. Watch as the balls come to life in sync with cinematic visuals and music during the performances for an impressive storytelling experience. Visit the Chin Swee Caves Temple. On the temple’s grounds, the nine-story, lamp-lit ornate pagoda; nearly 50-foot Buddha statue; and surrounding mountain scenery will make for gorgeous photos.